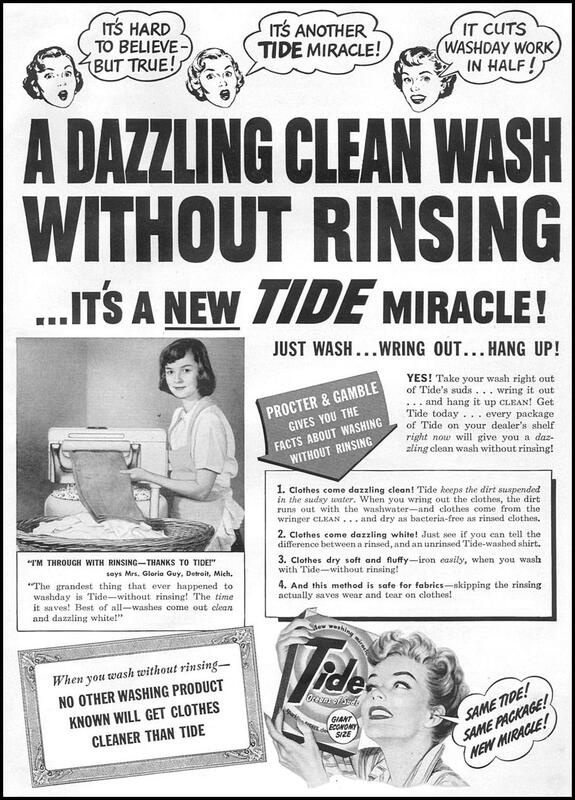 A DAZZLING CLEAN WASH WITHOUT RINSING ... IT'S A NEW TIDE MIRACLE! Tag Line A DAZZLING CLEAN WASH WITHOUT RINSING ... IT'S A NEW TIDE MIRACLE!